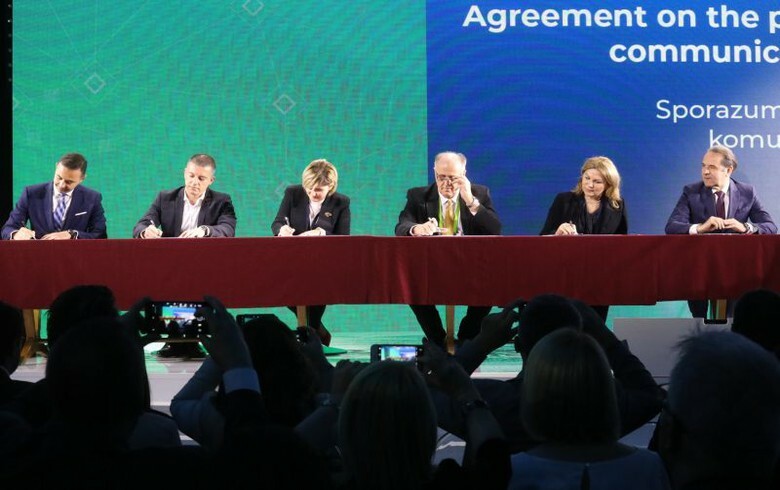 Representatives of Western Balkan countries signed today the Roaming Regional Agreement at the Belgrade Digitalization Summit. The news was announced by the Regional Cooperation Council secretary, Majlinda Bregu. The aim of this agreement, which is considered to be a very important one for the region, is to facilitate trade, promote economic cooperation and remove tariffs. “This is the first positive step. People of the region will no longer need to buy new sim cards or pay for roaming charges when they travel to the following countries: Albania, Bosnia and Herzegovina, North Macedonia, Montenegro, Kosovo and Serbia”, Bregu said. The new roaming agreement does not only have an important symbolic value for the region, but it also has a direct and immediate impact by saving citizens of the Balkans lots of money on their mobile phone bills. This agreement enables citizens of these countries to stay in touch while they travel, without the fear that they may incur excessive charges. It’s been estimated that roaming fees may sometimes exceed the cost of a holiday.